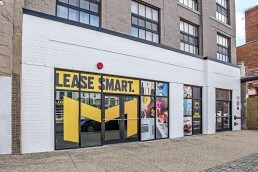 Monument Retail was formed in 2014 to add a full range of retail services to Monument Realty’s already extensive commercial and residential service offerings. As an owner and developer of successful residential, commercial, and retail properties throughout the Washington, DC region, bringing retail services in-house provides our current and future clients with great value. Monument Retail is focused on both the urban portfolio and the development of retail centers throughout the Mid-Atlantic region. Highlighted below is a selection of upcoming and current retail leasing opportunities from Monument Retail.